An open letter to formula feeding companies. Does this finally end the ‘breast is best’ debate? Scientists develop the first formula milk with human bacteria. How interesting that your “study” was conducted by scientists FROM YOUR OWN FORMULA COMPANY! How this “study” ever passed an ethical committee is beyond comprehension. Women are smart, but unfortunately we are not immune to the effective, sneaky ways of advertising. Should your company try to continue to improve their recipe? Of course! 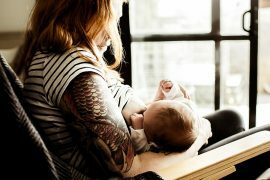 However, making claims that babies drinking your formula had “an immune response similar to that of breastfed babies” is NOT supported by your study and the flaws within your research are glaringly obvious. You have added ONE SINGLE type of human milk oligosaccharide (HMO) to your formula. An oligosaccharide is a indigestible carbohydrate which act as prebiotics. They are a crucial part of our digestive system. More and more research continues to come out on how crucial our gut health is in regards to our entire wellbeing not only physical health, but mental health as well. We are more bacteria than human, or as humans we are basically just a bunch of bacteria. It’s literally what we are made of and to ignore the importance of prebiotic and probiotic activity within our systems would be ignoring what the bulk of us are actually are made of. You put ONE of these types of HMO’s but what you fail to mention is that you created a synthetic version of one of the over ONE HUNDRED different ones that are found at any given time in human milk. Not only do we have at least 100 different types (only 100 have been discovered thus far  ) of these different oligosaccharides within our breastmilk, but they are CONTINUALLY CHANGING to meet the needs of our breastfed children. In one study  the women they sampled had anywhere from 23 to 130 types within their milk. It is a living, changing tissue similar to blood. It’s not possible to replicate because it changes depending on what your child needs. Your formula is not close to breastmilk and adding one type of a synthetic form of an oligosaccharide does not make it “similar” to breastmilk. At all. Nor does it “protect” an infants immune system the same. This is NOT a definition of a breastfed baby. This is a baby who could have consumed up to 240ml per week!! Including during the first week of their lives. You cannot compare babies who receive top ups of formula with babies who are just formula fed. Why? Because ANY formula that is given to a baby completely changes the lining of their gut. 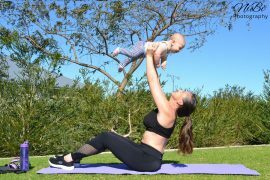 I write about this HERE and there is an excellent article that goes into great detail about “just one bottle of formula” here. Breastmilk is not a magical elixir that cures the guts of formula fed babies by touching it once and sprinkling fairy milk dust on it. Breastmilk’s affect is dose dependent so it needs to be exclusive and to natural term to actually compare children and do a proper study on this. What you did is compare babies who were exclusively breastfed and babies who received up to 240 mls of formula top-ups. What you did is flawed, weak and ethically questionable to say the last. Your claims that formula protects the immune system of babies just like breastmilk is not researched based and completely ignores the composition of breastmilk and why it is so unique. Breastmilk is filled with antimicrobial, antibacterial, anti-fugal properties. It is filled with good bacteria and enzymes and is continually changing to meet the needs of your child. Whether they are three months old or three years old. Formula never changes. Ever. Adding one synthetic HMO to your recipe does not change this, and your claims that it’s just like breastmilk are laughable. 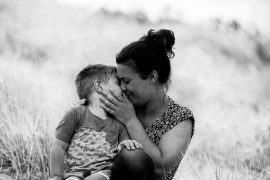 Putting millions of dollars into these studies might help your future sales…but I fear it will convince another generation of women that your formula is just as good as their breastmilk, when we know that it is in fact, simply not. Meg is the mother of three active boys. 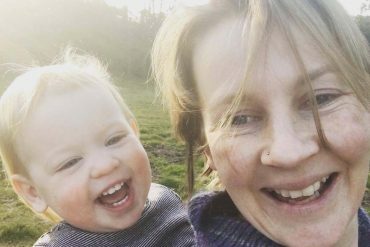 In between breastfeeding her youngest boy, chasing after her oldest two boys, blogging, writing, giving talks and occasionally sleeping  …Meg works with women to help them reach their breastfeeding goals! Find more articles by Meg Nagle, IBCLC, over at The Milk Meg and her Facebook page, and for the original article go here.